So here's what you need to know about why HP fired CEO Leo Apotheker: it's not because of the choices he made, it's how he executed them. So TouchPad is still dead. PCs are still being shunned. And round and round and round we go. "I am supportive of the actions that were announced on August 18th...from what I know now, I think the strategy is right, the initiatives we took on August 18th were right." August 18th is when TouchPad and Veer died, when HP began exploring options to spin off or sell its PC arm, and when Autonomy was snapped up to make the company an enterprise software powerhouse. Which, man, in retrospect: what a day! The problem, as I've said before, is that it's hard to see how Whitman is more qualified than Apotheker to lead the company that HP clearly wants to become. The latter has extensive enterprise software experience; the former cashed in on eBay's IPO and had a disastrous gubernatorial run. 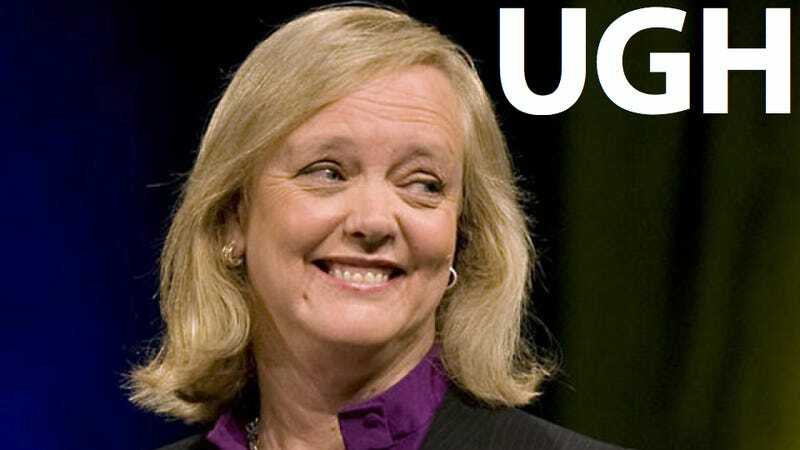 But Whitman has sat on HP's board the last eight months, and she had some time to spare, so why not? But all that's better left for business blogs. The stuff you care most about: PC innovation. TouchPads. WebOS. Whitman's not throwing them a life saver. She's there to run a tighter ship, but not to change its course.